Mentoring is important for everyone, but needs are as distinctive as people are. The Campaign for Action Diversity Steering Committee welcomed the head of the National Black Nurses Association to lead a webinar June 26 about the needs of black student nurses. 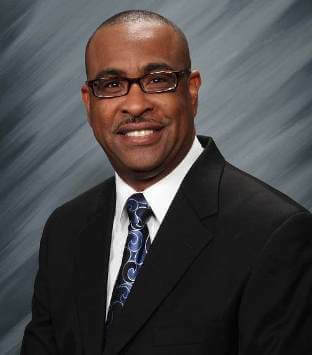 During “Mentoring Minority Nurses and Student Nurses: A Pillar for Successful Leadership,” NBNA President Eric J. Williams, DNP, RN, CNE, urges organizations like his to collaborate with academia and industry to help nursing students thrive. While Williams talks about the needs specific to African Americans who aspire to learn and grow, he also notes that the support system he describes is not unique to the needs of African American nurses. The webinar starts with a look at an NBNA-Johns Hopkins survey that showed barriers specific to African American students; among other findings were that students in some cases felt all alone, even that they were in survival mode, throughout their academic progression. Not surprisingly, they functioned better in a culture that was nurturing, starting with faculty but included peers. Williams highlights the collaboration among academia, industry, and professional organizations like his, naming possible partners for other students the National Association of Hispanic Nurses, the American Assembly for Men in Nursing, the Philippine Nurses Association, and other organizations supporting those underrepresented in nursing. Mentoring, including students who are minorities in nursing, is the starting point to creating a culture of health, says Adriana Perez, PhD, ANP-BC, FAAN. She and Piri Ackerman-Barger, PhD, RN, serve on the Diversity Steering Committee, and with Winifred Quinn, PhD, director of diversity for the Campaign for Action, they organized and spoke during the webinar. The Q&A at the end includes consideration of the varying definitions and needs of mentoring, and a conversation about cross-cultural mentoring and what “inclusion” means. The PowerPoint slides are here.